5. 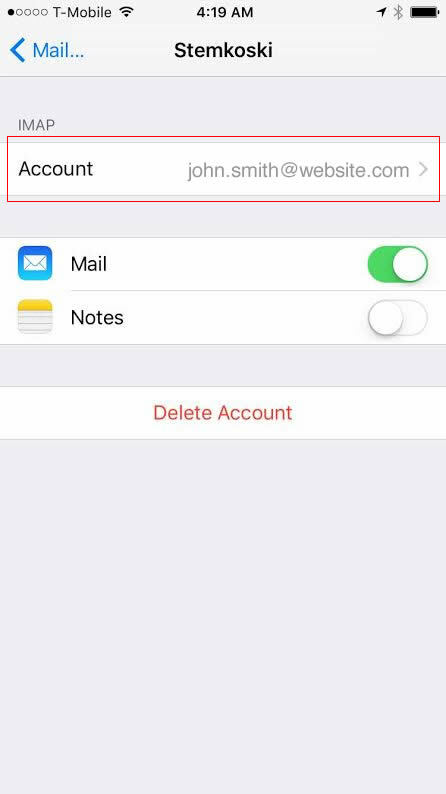 On your Account Settings screen look in the top left at the area highlighted in the blue box. If your blue box says POP, navigate to this POP set up how to, then go to step 5 and continue. If your blue box says IMAP then continue using this how to and copy the settings in the screenshot below. 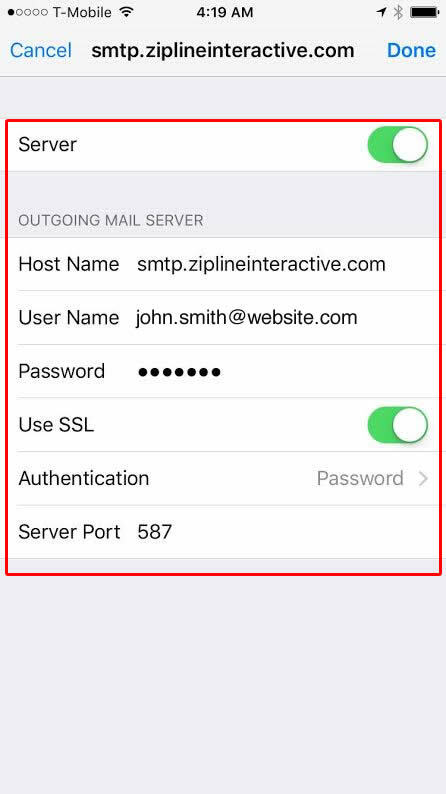 Complete all the information contained in the red box substituting your name for John Smith and your email for john.smith@website.com. 6. 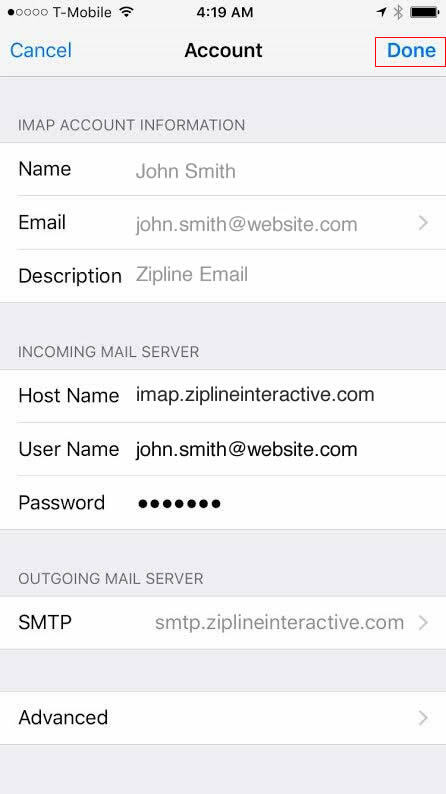 Once you have completed the settings click on the SMTP Address listed. 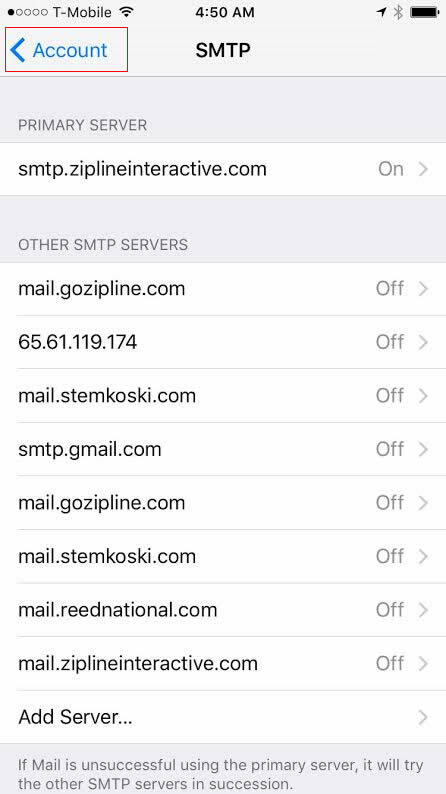 This will take you to a screen (same as the one seen in screenshot below) where you can select from the SMTP accounts on this device. 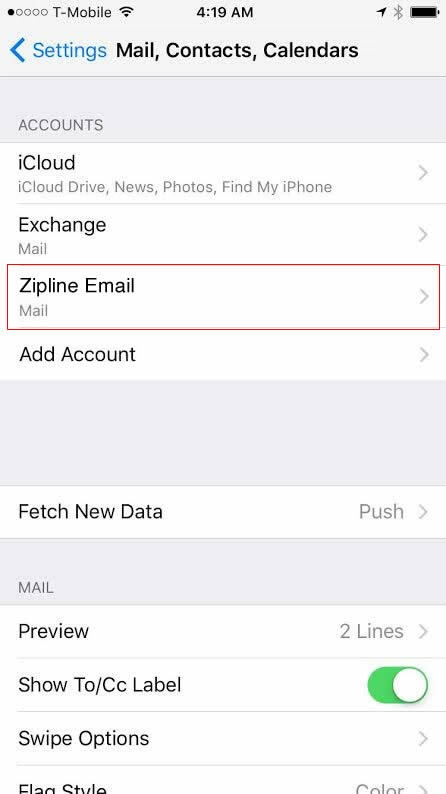 You will want to click on the primary account to edit it so that it meets the updated Zipline email settings. 7. 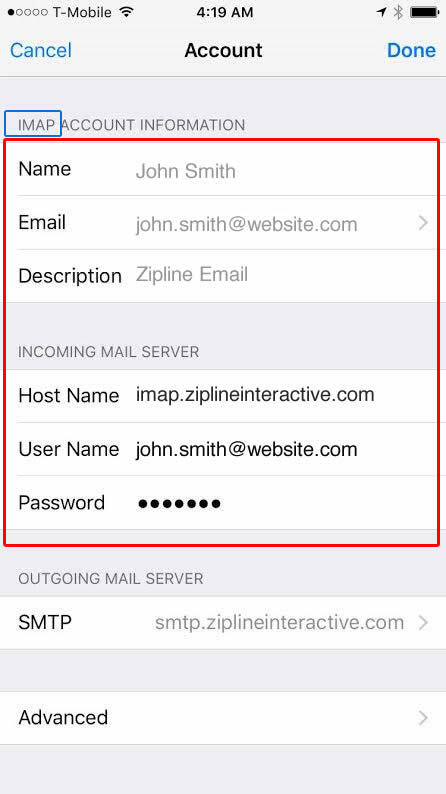 From the SMTP settings screen align your settings with the settings outlined in the red box below. Make sure to substitute your email address for john.smith@website.com. 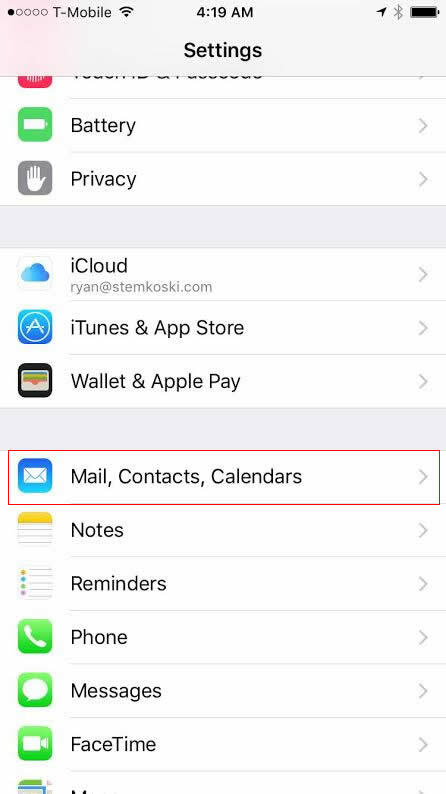 Once your settings match choose "Done" at the top right of the screen to save your settings. 10. 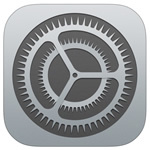 On the "Advanced" screen scroll down to incoming settings. 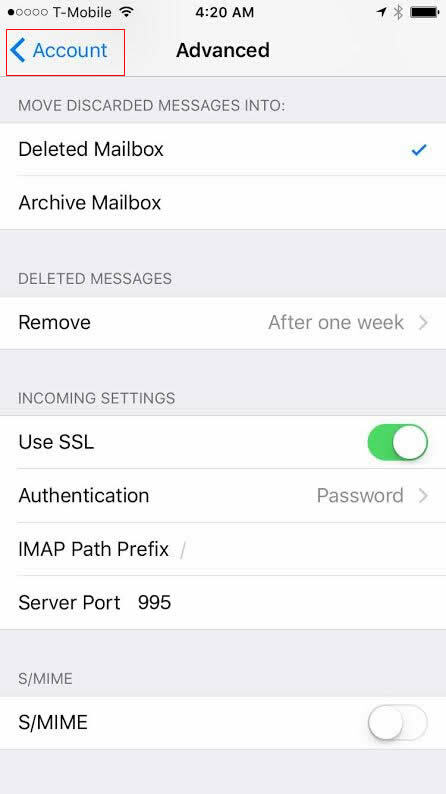 IMAP users copy the settings in the screenshot below.